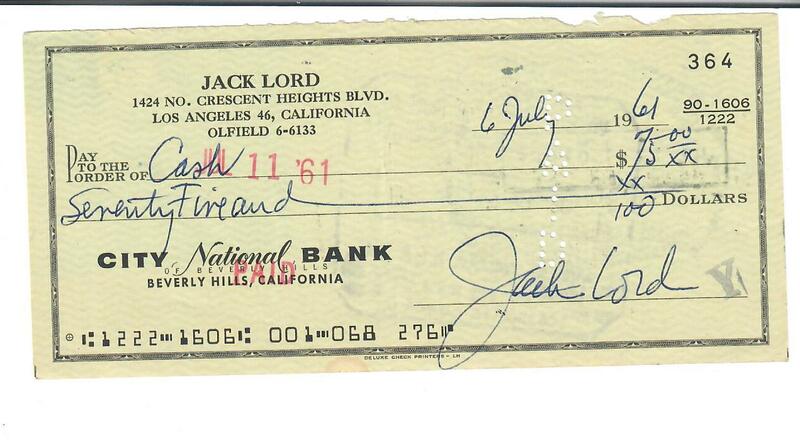 A signed and cancelled check from Jack Lord of Hawaii Five-O Television show. 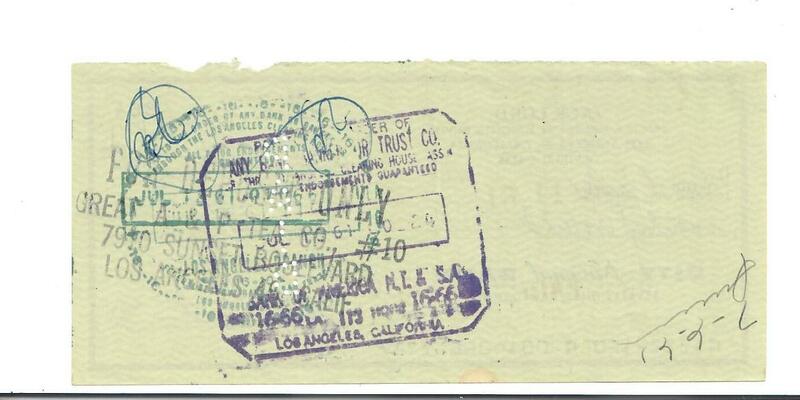 It is dated 1961 and made out to Cash. (please see photos) This is an authentic item...there is no COA. This also comes with a photo. It comes from an estate sale of a collector.